Switzerland remains one of the most stable economies across the world and has not been in conflict with another country since 1505. With strong political stability and high per capita income across the world, it has also managed to keep its unemployment rate low. With Basel having headquarters of Bank of International Settlements (facilitates cooperation among the world’s central banks), Switzerland is considered one of the biggest tax havens in the world. The offshore accounts with Swiss banks have partial or full exemptions depending on the private bank. The country implements an extremely high level of secrecy when it comes to disclosure of financial assets of its clients. Since Switzerland’s financial sector remains one of the largest in the world, its ‘secrecy cost’ also remains huge. According to Bloomberg, the Swiss banking industry is a $7 trillion secret. The Swiss banking system follows the ‘Swiss Universal Bank’ model which means that all banks provide all banking services related to deposits and payments, loans, asset management advice, underwriting and financial analysis. For over 300 years, Swiss banks have been known for remaining secretive about their customers’ accounts. In 1713, Switzerland adopted a ‘code to secrecy’, which prohibited banks from giving away information to anyone other than the account holder. In 1932, French authorities raided the Paris office of a Swiss bank and found assets worth one billion French Francs. This let to revelation of the account holders’ identities. Following this incident, countries like Germany passed a law that made it a punishable offence to hold foreign currencies in Swiss banks. During this time Swiss banks were closely watched by German Gestapo (official secret police of Nazi Germany and German-occupied Europe). It was through this period that Swiss government felt that it was important to tighten rules towards ‘bank secrecy’. During this time it strengthened its code of secrecy by passing a law in 1934. In November 1934, Switzerland passed the Swiss Federal Banking Act, which made disclosure of clients’ identity a criminal offence, which was punishable by law. Number of accounts held with Swiss banks remained private and confidential since the law forbade bankers to disclose existence of accounts and account-related information to third party without any consent of the accountholder. Bankers in Switzerland could face severe punishment if breach of privacy was found. They could, typically, get up to 6 months imprisonment and a fine of 50000 Swiss Francs. Swiss banks made exceptions in disclosure of information if the accounts are related to criminal activities, drug trafficking and insider trading. When WWII broke out then many European Jews opened Swiss bank accounts and deposited their lifetime savings to remain protected. But after the war was over, the documents of many account holders were gone and it became difficult for them to retrieve their own money. During Second World War, Swiss banks were also used by Nazis to loot their Jewish victims. Swiss banks came under fire due to their actions towards Jewish account holders after World War II. Swiss Federal Decree in 1962 ordered banks and other institutions to look into dormant accounts of foreign and stateless people. As a result, a total of nearly 9.5 million Swiss francs (an approximate 1962 value of $2.4 million) were reported and about three-fourths was moved to the rightful heirs. In 1995, Swiss Bankers Association turned up another $32million in 775 dormant accounts that were opened before 1945. High level of secrecy is maintained in Swiss bank by opening a ‘numbered account’. The reason it is called a numbered account is because one tends to make transactions by quoting a number instead of a name. Very few officials within the bank would also know the real name of a ‘numbered account holder’. Personal presence of the person wanting to open this type of account is required with an initial deposit of $100000. Account closure is done without any fees. It is this type of account that lures many foreign account holders to open an account with Swiss banks. One of the many reasons for opening a Swiss bank account is a stable economy. But the biggest remains tax evasion. The US has had a long-standing tax-evasion dispute with Switzerland. Lately, Swiss banks have been in news for helping many wealthy Americans evade taxes by holding their accounts in ‘secrecy’. Swiss banks are now urging their U.S. clients to disclose their offshore accounts. The customers are being asked to prove that they have duly paid their taxes and if they fail to comply, then their accounts are getting partially blocked. So the era of offshore bank secrecy seems to be reaching a dead end now, at least for the US clients that have been evading taxes by keeping it in Swiss banks. In 2008, a former Union Bank of Switzerland (UBS) employee-turned-whistleblower, Bradley Birkenfeld, pleaded guilty for helping US citizens avoid taxes. In 2013, Switzerland signed an agreement with 60 countries. 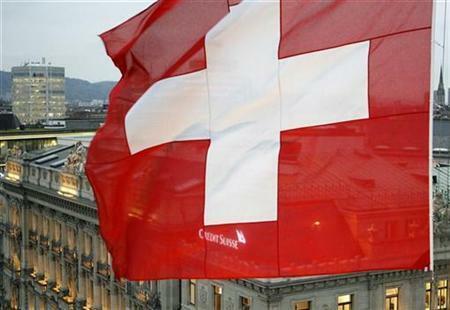 The agreement was to share financial information with these countries, which was a big step for Swiss banking system. The program allowed Swiss banks to avoid criminal charges or penalties by disclosing information of secretly held accounts. Nearly 100 banks signed before December 2013 deadline but many have withdrawn their support since then. 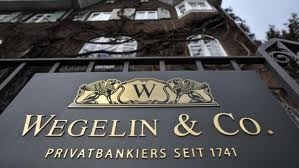 In January 2013, Switzerland’s oldest private bank, Wegelin & Co., said it would close down after pleading guilty to helping Americans hide more than $1.2 billion from the Internal Revenue Service (IRS). In 2015, BSI SA became the first Swiss bank to agree to pay $211million for the 3,500 accounts it has. These accounts held $2.8 billion in 2008. Since US is adamant to conclude these cases of fake identities and undeclared foreign accounts this year, Swiss banks are using strong methods of ‘threatening to reveal names’ for its US account holders. On the other side, clients that hold their accounts with these Swiss banks feel cheated since the ‘bank secrecy’ code is not being adhered to and they had paid high fees for this non-disclosure code. However, Swiss banks asserted that “bank-client confidentiality” will not be withdrawn and ‘automatic information exchange’ is not the only solution to the tax evasion problem. The banking system across the world thrives on customers’ confidence and privacy of information. Swiss banking history has survived both the World Wars and yet maintained its support towards banking secrecy. However, recent global turmoil has raised many issues and one of them is the problem of money laundering. Now, it is up to Swiss banks to decide which holds more importance to them – holding on to the bank secrecy or allowing more transparency in their banking system, which could help in disclosing many illegal accounts across the globe. © 2016 Deena Zaidi. All rights reserved.